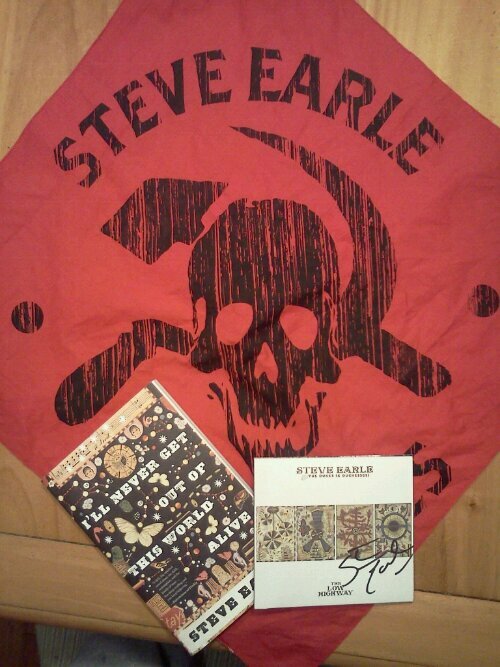 Steve Earle Put on a Heck of a Show | Robert Mitchell Jr. The line for autographs was long. Morgan and I waited patiently. People were hugging him and getting their pictures taken. I watched him paste on a smile and pose for each person. It was my turn. I held out a book and CD for him to sign. “Nobody shoots straighter or tells it truer than you do Steve,” I said. “Thanks for what you do.” I stuck out my hand. He shook it and said thanks. “Travel safe,” I said. Steve, for pouring out your heart and sweat and honesty for almost three hours the other night, for your tireless dedication to hard-working everyday folks like me, for a body of work that includes activism, music, literature, film and television, my sincerest thanks. You’re the outlaw poet of my generation and it was an honor to shake your hand. 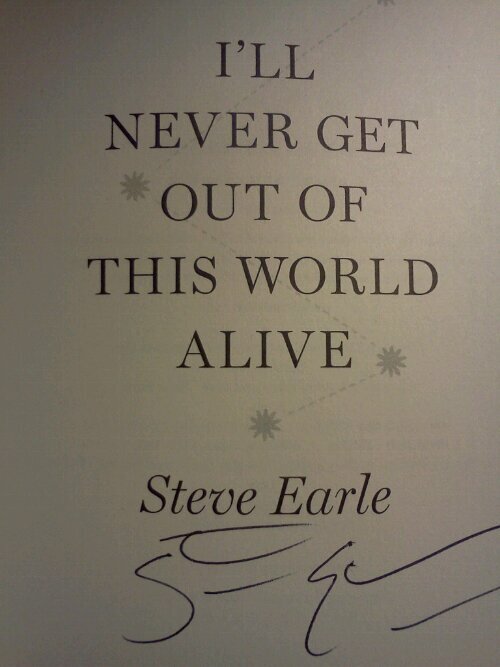 This entry was posted in Green, Writing and tagged autograph, concert, steve earle. Bookmark the permalink.